Praedictix - Who Are We? What is Praedictix? We are a weather company that focuses on delivering credible weather forecasts to our clients. We have three main offerings: media, weather graphics, and weather consulting. Media? 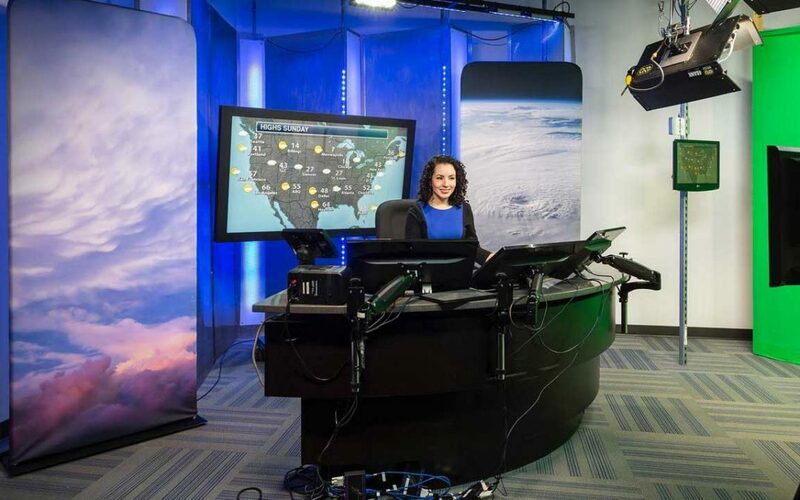 With two HD studios, we’re able to create professional weather forecast videos for use in television, social media, apps, and websites. Our forecasts are tailored to our clients’ brand. Our content ranges from national forecasts to hyperlocal forecasts and air all over the country. Weather Graphics? We have access to a robust weather dataset which allows us to create high customizable, HD weather maps and graphics for use in television, digital signage, social media, and websites. Our white-label graphics allow our clients to push their own brands and sponsors. Consulting? We lend our weather expertise to our clients to help with risk mitigation and business optimization by way of conference calls, emails, and briefings. We also have a forensic meteorology team that specializes in forensic weather analysis and expert testimony. How do you pronounce your name? Great question! We get it a lot. Think of the word “prediction” but replace “-tion” with “-tix.” pre-DIK-tix. How old is your company? Our company was founded by renowned meteorologist and entrepreneur Paul Douglas in 2008. We started as WeatherNation and evolved to what is now Praedictix. Where are you located? Our studios and offices are located in a suburb of Minneapolis, Minnesota. Where can we watch you? We broadcast for clients all over the country on a variety of television stations. We are not a traditional television station, however. You can always catch our national forecast on our home page and our regional forecasts on our weather videos section. Additionally, we do occasionally share our videos on our social media pages. You can find us on Facebook, Twitter, Instagram, and LinkedIn.